These tetrad trinity Irish Earrings are created by placing 4 trinity knots together to form this almost flower like pattern. In sterling silver it is patterned with tiny clear cz stones. Matching Irish pendant are also availalbe. 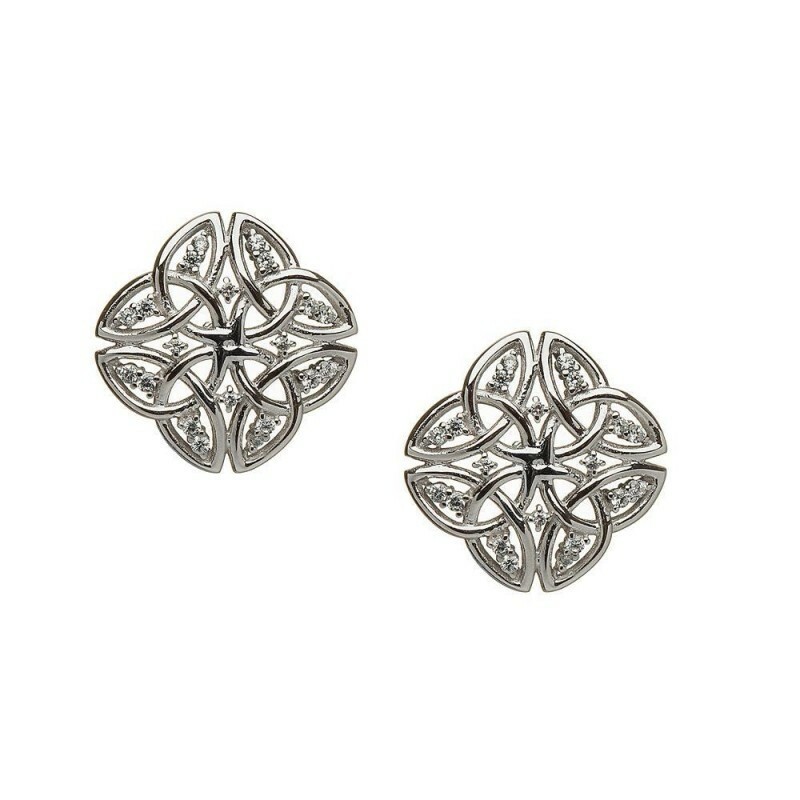 These Irish Trinity Knot Earrings are handcrafted in Ireland and attractively gift boxed.